Feedback Revolution QR started in late 2011 when my son was asking me about Angry Birds. He wanted to know how many times the game had been downloaded and how much they made with each download. After learning about the awesome success of Angry Birds, my son quickly decided that he wanted to create an app of his own. His idea was to create an edamame shooter. It was at that moment that my wonderful wife said, “What if we created an app for our customer feedback tool!” She’s the real genius. After thinking about it, we decided we could use simple smartphone technology to collect customer feedback. No custom app necessary, just a QR code and the internet. Our vision was that it had to be SIMPLE. We wanted to make it fast and easy for a customer to share feedback. It also needed to be fast and easy for a business to use. We knew if a tool created more work for busy business owners they wouldn’t use it. We wanted to make it as automated as possible so with a couple of clicks a business could see their results, read their comments and have the opportunity to follow up with the customer immediately. We want to create a more valuable experience. If a customer spends $1.00 for a cup of coffee we want them to feel like they received a $1.25 value. We also want our clients to see the real value in building long term relationships with their customers. Value is not just from purchases made but from the relationship and loyalty a business cultivates with their customers. By listening to customers and having dialog with them you create that valuable relationship. 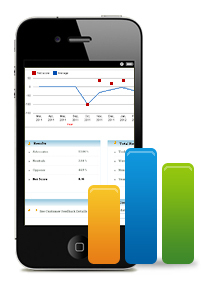 Customer feedback is monologue… we see the value in real time dialog. Being able to quickly and easily address a situation or thank a customer for sharing their opinion can transform a one-time transaction into a long term relationship. We are always looking for ways to build a more valuable experience. Stay tuned!